If you’re considering Invisalign®, you likely have concerns about the way that your teeth look: their alignment and angle or the gaps between teeth. As an Sierra Madre Invisalign dentist, Dr. Charlyn Quiec (“Dr. Q”) recommends the treatment for reasons that are just as important: your continuing oral health. Straight teeth provide much more than cosmetic benefits. Learn how Invisalign can help you avoid health concerns and promote better dental hygiene. Dr. Q uses Invisalign to address mild-to-moderate orthodontic concerns. These include gapped teeth, overbite, underbite, open bite, overly crowded teeth, and crossbite. The ongoing irritation, impaction, and wearing of tooth-against-tooth can cause dental issues. They can lead to red, swollen gums (gingivitis) and serious periodontal disease. This wear can also damage your teeth, create greater sensitivity to hot and cold, and make chewing difficult over time. Even, well-aligned teeth are more than aesthetically pleasing. They’re more likely to stay healthy over the years. As an Sierra Madre dentist, Invisalign teeth-straightening is only part of Dr. Q’s responsibilities towards patients. Her overall priority is long-term oral care. The alignment of your teeth plays a role in this care. When teeth are not straight, they can be more difficult to brush and floss. Food and bacteria can become trapped between teeth and gums, and these pockets can cause health issues as well as dental concerns. Braces may add to these problems since food can become trapped in brackets and wires. Metal facets can also make flossing and brushing more difficult. Invisalign is removable, so it lets patients get to all of the areas of their mouth that braces might otherwise prevent. As an Sierra Madre dentist, Invisalign is one of the tools Dr. Q uses to avoid problems for patients as they age. Gum disease and tooth decay lead to loss of teeth and, potentially, loss of bone in the jaw area. When people lack teeth for chewing, they may not get the nutrition they require (not to mention being unable to eat some of their favorite foods.) Also, poor oral health can cause bacteria to build: a bad combination in a nutritionally-undernourished patient. Invisalign addresses orthodontic issues that can lead to concerns in older patients. Making the investment in your smile now can save you from problems in the future. Dr. Q is a Level II-certified Invisalign dentist serving Sierra Madre and the surrounding community. She has taken advanced training to diagnose, treat, and monitor tooth alignment concerns and to help patients achieve the improvement they want for their smile. Beyond Invisalign, Dr. Q and her team offer general, surgical, and cosmetic treatments. They provide Sierra Madre and Monrovia porcelain veneers, crowns, regular cleanings, wisdom teeth removal, and other high-quality procedures. 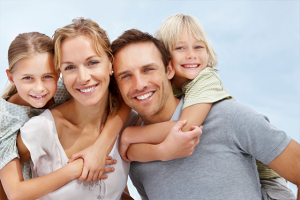 Dr. Q Dental welcomes new patients and invites you to explore your options for creating a healthier, beautiful smile. Contact Dr. Q today for an appointment. Call our office near the Sierra Madre area at 626-599-9818.